I bought a couple of used laptops this week. A friend of mine needed a sturdy laptop that he could bring with him to central America later, to run AutoCad R14 on. He asked me to select a laptop for him. My own laptop PC was really old, an old Toshiba with a 1.5 GHz Celeron in it, so I decided to get a better one for myself while I was at it. So I researched the available laptops on our local kijiji classified ad web site, and decided to pick up a couple of HP Compaq model 6910p. 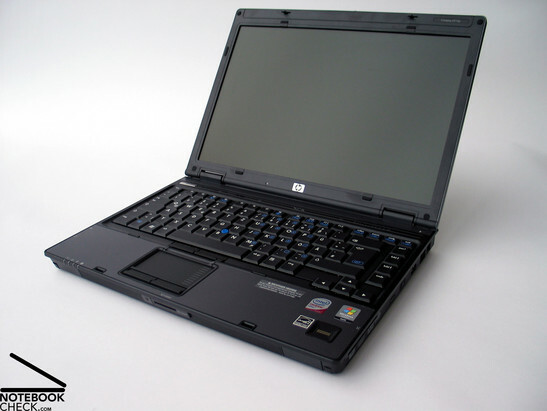 That is a 2007 model laptop with an Intel 2 GHz Core2duo T7300 CPU. They had 2 GB DDR2 RAM and a 160 GB hard drive. Wireless 802.11 a/b/g/n and Bluetooth was built-in. Along with 3 USB-2 connectors, Firewire, Cardbus slot, modem, VGA connector, S-video connector, SmartCard, SD card reader, headphone/speaker jack, microphone jack and Gigabit Ethernet. They are not suitable for gaming, as the Intel GMA X3100 integrated graphics using a block of main RAM, is too slow for that. The units have a magnesium alloy upper skin, and include a fingerprint reader. They weigh just over 2 Kg (5.2 lbs), and were designed to be solid units for secure and reliable corporate use. They cost between $1200 and $1850 when they were new, dependent on configuration. I got them for $180 each. They came with Windows 7 64-bit Professional and Microsoft Office 2007 Professional installed. The first task was to upgrade them. That required a quick trip to our local computer parts dealer. I bought four Kingston 2 GB DDR2 PC-5300 SODIMMs at $45 each, and two Kingston solid state 128 GB SATA laptop drives at $95 each. The 1 GB RAM modules in the laptops were then swapped out, increasing the RAM from 2 to 4 GB. Then we installed all the software we needed onto the laptops. For web browsing and email, Firefox and Thunderbird was installed. For video playback, K-Lite Mega codec pack was installed. The latest Java runtime, Acrobat Reader and Adobe Flash Player was also installed. We downloaded and installed HP's security suite software, so that we could use the finger print registration and logon capability. We also ran Microsoft Update until we had gotten all the patches. There were several hundred of those, that arrived in several large batches. When all the software was in place, Uniblue RegistryBooster 2009 was run, to clean up and defrag the registry. Acronis Disk Director Home was installed, and used to reduce the size of the C drive to make room for a D drive partition. The two partitions were set to 75 GB each, and the C drive was named System, and the D drive was named Data. Once we were happy with the installed software and the configuration, Acronis Disk Director was used to clone the 160 GB laptop drive onto a 128 GB solid state drive. The software automatically handles the size mismatch, rubber-banding the partitions down in size to fit onto the smaller drive. The drive cloning was accomplished with the new solid state drive placed in a Vantec NexStar Hard Drive Dock as this allows a bare SATA drive to be powered up and connected to a PC via a USB port. Once the drive cloning (which copied everything, including the boot block and the drive's Windows NT signature identifier string) was completed, the drives were swapped. The old hard drives were labelled and put away as backups, in case the solid state drives should fail. With the solid state drive installed, there was a very noticeable improvement in the performance of the laptops. Bootup, restore from hibernation and application startup became nearly instantaneous. Doing two identical laptops together saved a bit of time, but it still took a full day of fiddling to get everything installed and configured right. The end result is two very solid and quite fast laptops with fingerprint logon convenience and security, at a lower cost than buying cheap new flimsy ones. Total cost, not including all the personal labour involved, was $375 per laptop. Thanks for the post. Most of the technical info was German to me since I never had a laptop myself, but We're going to me laptop shopping for my pop soon. (09-05-2013, 12:11 PM)velvetfog Wrote: I bought a couple of used laptops this week. Awesome and very informative post VF. I'm currently doing a refurb on a HP Pavilion Entertainment PC Notebook (dv6) and your post has certainly given me pointers as to how to do it the correct way. To try to keep my story brief, I left out all the fun I had trying to get the special software apps my draftsman friend uses onto a 64-bit Windows system. Some of them are quite old, and used the old Microso0ft Help file system that Microsoft no longer supports. To get old style help files to work, I had to install Winhelp32 for Windows 7. To get that installed, I first had to enable the Administrator account for logon, since it can only be installed from that account. You are supposedly able to get it directly from Microsoft's support site, but when I tried that, Microsoft wants you to first download and run a Windows validation task that is broken. And some old 32-bit apps, such as AutoCad R14, have a 16-bit installer task on the CD, which just won't run in 64-bit Windows. I also left out talking about all the umpteen reboots of the machines that had to be done while patches, updates and software was being installed. But anyone experienced with Windows already knows about that. And I also defragged the hard drives several times during the day. Installing software on Windows machines is just so much fun. Quote: Once we were happy with the installed software and the configuration, Acronis Disk Director was used to clone the 160 GB laptop drive onto a 128 GB solid state drive. Can you elaborate on that a little VF?. The reason i ask is i'd like to swap out the 150GB SATA HDD in the afore mentioned post with a SSD which would hold only the O/S, essential software and portable "everything" where possible. 1. The new, blank disk you are creating the clone on must be initialized as a basic disc first. If that isn't done, you won't be able to see it as a target disk. 2. You are not copying individual partitions as such, so ignore the disk volumes and all the options that are available for them. 3. Right-click on the Disk 1 (MBR) entry and select Clone basic disc from the menu. 4. In the window that pops up, select your initialized disk as the target. 5. On the next menu, check the box marked Copy NT signature <-- This is very important! Then click Finish. 6. Click on the yellow field at top of the Acronis window to commit the changes. The PC will exit Windows and reboot and then do the disk cloning. When the PC turns off, it is done. 7. Remove the old boot drive and put in the clone. Restart the PC. 8. After Windows has started up, and you have logged in, you are likely to get a message telling you to restart Windows. That is because the Windows OS has now noticed that it is booting from a different size disk, and has registered the change. Reboot Windows. After that is done, you can use the machine normally. The old boot drive and the new one you are cloning it to do not need to be of the same size. Acronis will rubber-band the partitions to fit on the target disk. As long as the target disk is big enough to hold all the files on the old drive, it will work. Most folks are cloning onto newer and bigger drives anyway. In my case, I was cloning onto a smaller drive, going from a 160 GB 5400 RPM laptop drive to a 128 GB solid state drive, but since the laptop drive only had around 35 GB on it, the size reduction didn't matter. It is a good idea to run defrag multiple times on the old drive before you run Acronis and do the cloning of it. That way all the fragmented files have been dealt with, and everything has been moved to the beginning of the disk partition(s) on the drive. Does anyone have current serial codes for Uniblue RegistryBooster 2009? ?